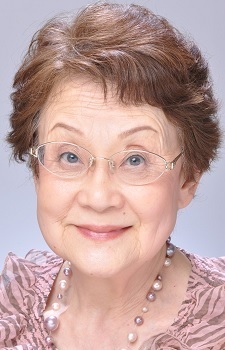 Kyouda Hisako is a voice actress born February 22, 1935 in Tokyo, Japan and belongs to Haikyou. She is most known for the roles of Genkai (YuYu Hakusho), Omusubiman (Soreike! Anpanman), and Godai Yukari (Maison Ikkoku). She voiced Slappy Squirrel in the Japanese dub of Animaniacs. I had a hard time distinguish Zirconia's gender. A big talent indeed. It looks like she only borrows her voice to old woman characters.